My first week at Hogwarts School of Witchcraft and Wizardry has been a tremendous success. I’ve got the _wingardium leviosa _spell down pretty well, and have almost mastered the expelliarmus spell. Next up: avada kedavra. But in all seriousness. This place is awesome. 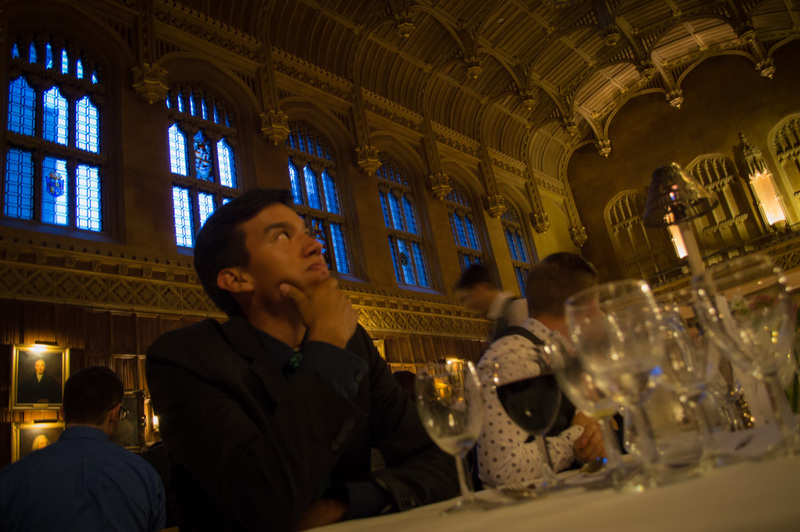 Feeling fancy at King's Dining Hall. 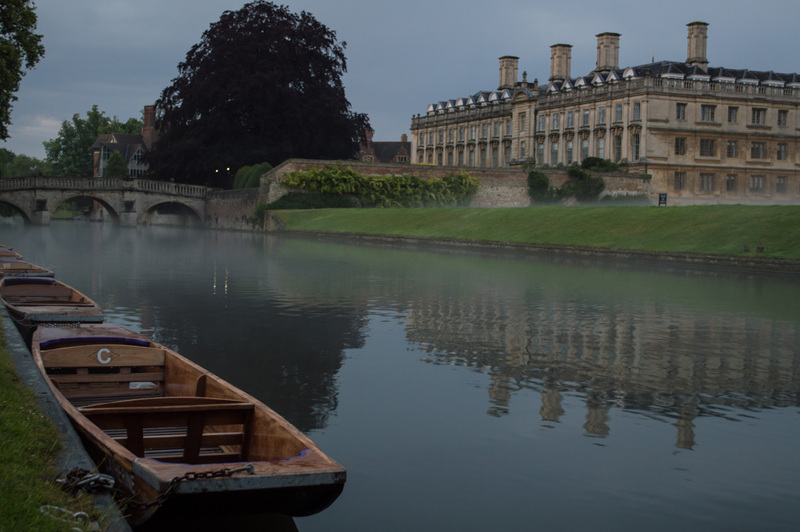 Across the River Cam, King's College. My arrival at Cambridge—the town—was uneventful. I took the train from Stansted Airport and made it in about an hour. 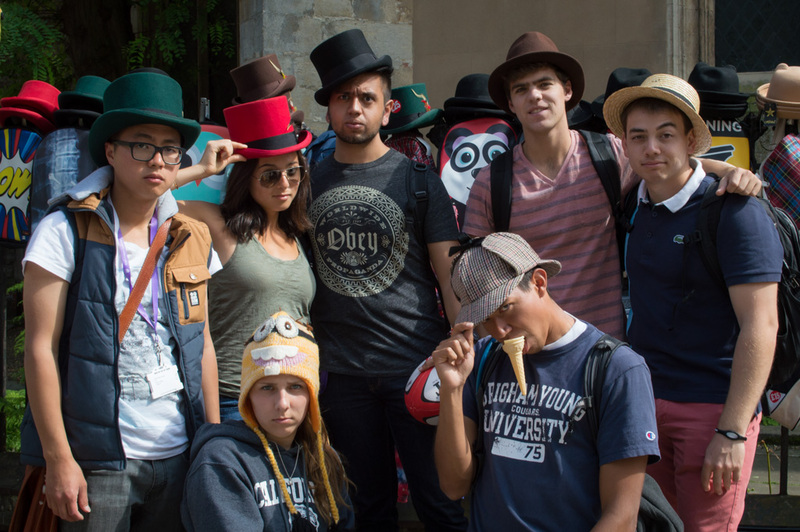 Getting to Cambridge—the university—was a different story altogether. For some odd reason, I was expecting to be received by a welcoming party at the train station for all Pembroke-King’s Programme (PKP) students. It sounds so foolish now, but I wholeheartedly believed it then. Clearly, it didn’t happen. Instead, I ended up walking from the train station in the direction that seemed most logical, and getting lost multiple times—in the pouring rain. Yep, luggage and all. I didn’t feel like wasting my money on a taxi; and really, how big could this town be anyway? Well I’m happy to report that I did eventually find my way to King’s College, where I was joyfully greeted by friendly “porters” (the people in charge of letting people in or keeping them out). I was only completely soaked, and so were some of the clothes in my luggage. Since then things have been running much more smoothly. 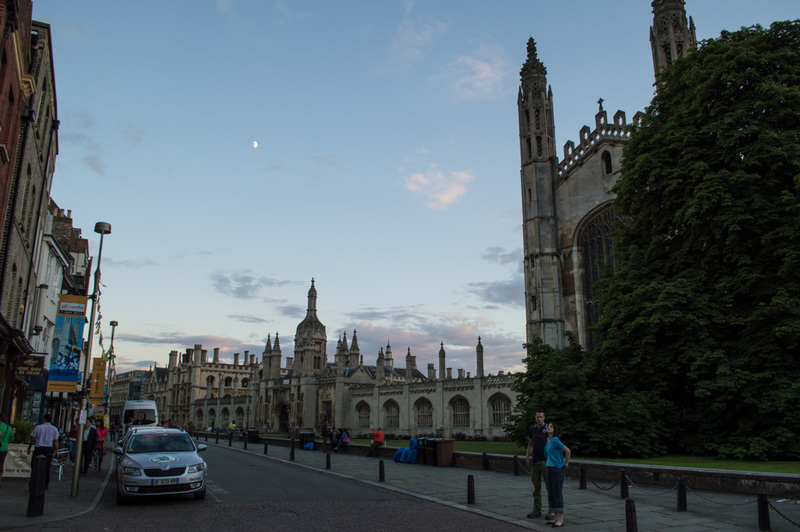 King’s College is where I chose to stay, and I’m so glad I did, as it’s one of the most famous and beautiful colleges of the University of Cambridge. 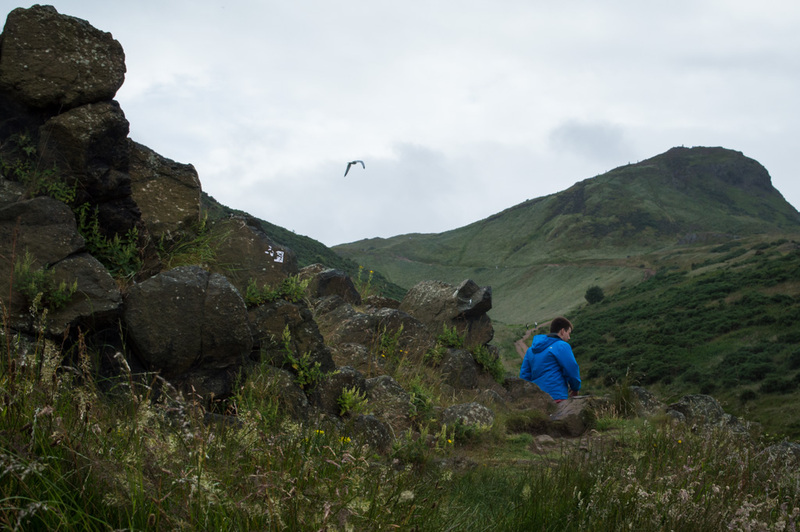 Everything here is pristine and ancient, the grounds are spectacular, the atmosphere is calm, the sunsets are brilliant, and the people are warm. King's College. I live here? What? A few things that have surprised me about this place. For starters, the days are way longer than anything I’ve ever experienced before. Apparently, we’re at roughly the same latitude as Alaska, which means that almost at 10:00pm it’s still fully bright outside, and by shortly after 4:00am the sun comes up. Also, it hadn’t occurred to me that Cambridge would be a very touristy town, but oh it sure is. Tourists fill the streets constantly and are always trying to get access to the inside of the college grounds. There are also about ten times as many bikes on the streets as cars, which I absolutely love. It all has a small-town but regal feel to it. 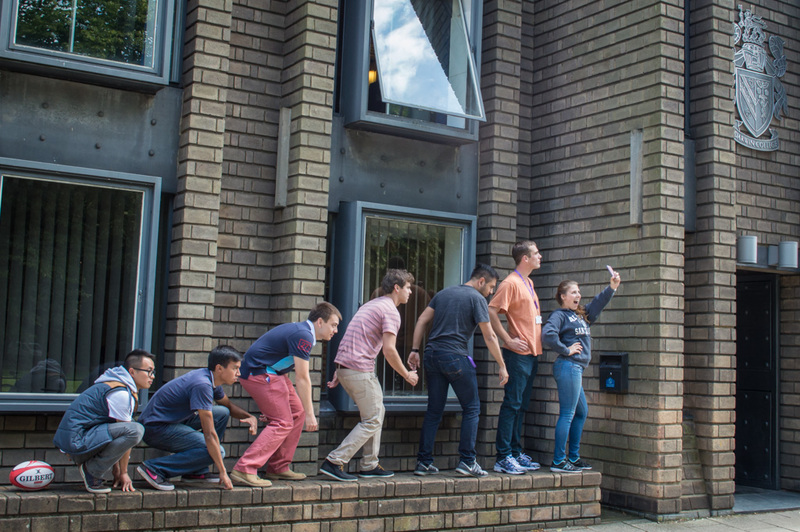 The evolution of man in front of Darwin College. As for classes, I could not be more excited. 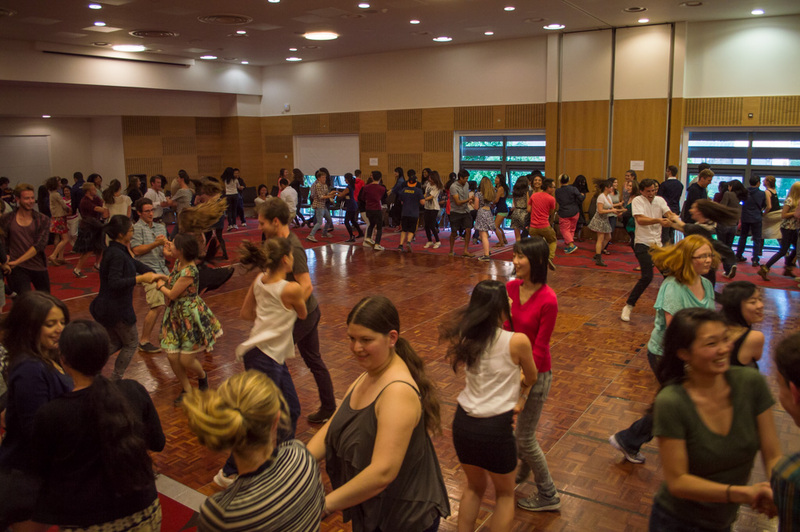 I am taking two classes and doing something called supervision. 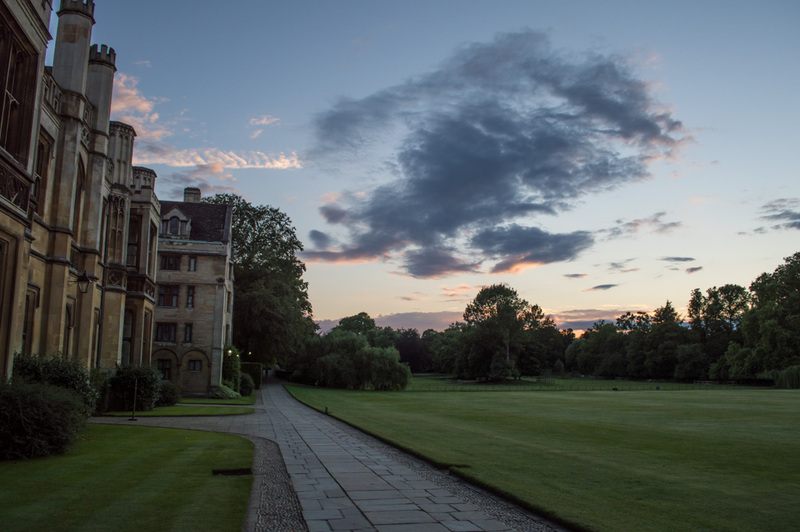 My classes are “Good Life or Moral Life” (ethics) and “Modern European History.” The supervision option is the opportunity to work one-on-one with a Cambridge professor or graduate student on a research topic of my choice. I’ve titled my research proposal Divine Blood in the Mesopotamian Creation-of-Mankind Motif, and my supervisor is a current PhD candidate here. 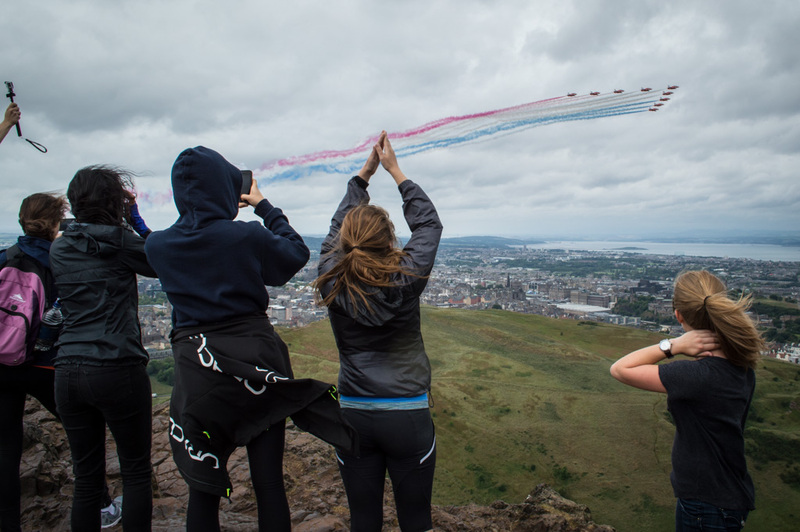 Celebrating the 4th of July atop Arthur's Seat in Scotland. 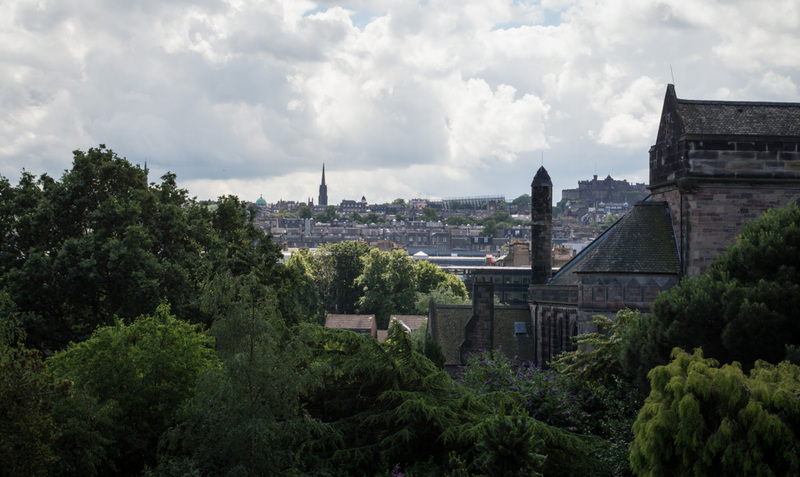 Our first week has been rather unique, since we’ve just spent the last few days getting to know each other better in Edinburgh, Scotland. I had a great time there hiking, exploring the city, and dancing (and apparently also getting a little sick), but now we’re back and ready to start a full week of hard work. Well, at least after we go out to see the Tour de France go by here tomorrow. Look for me on TV! 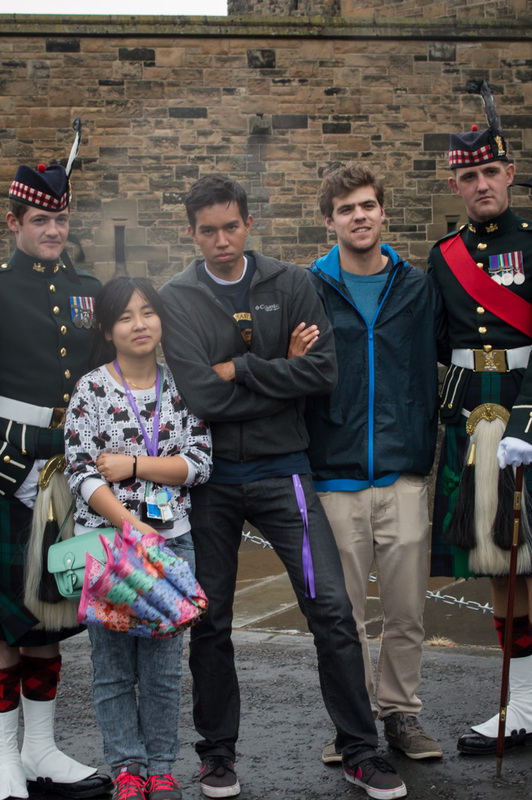 Serious-ish faces with the guards of Edinburgh Castle.